When you create a firm agreement with your teen about anything, including homework, curfews, chores, and polite behaviour, always pay attention to the small print. Take a little time and remember why you want to negotiate new behaviours with your teen. why you want things to change in your house. When you are sure that change needs to happen – it will. How do you define exactly what your teen is required to do? It is too vague to both agree, for example, that your teen will do homework or household chores every day. You both need to decide on when, how much, and what they will do. The agreement should include all the factors you both need to know around time, amount, and exactly what work will be done. For example you both might agree that they get on with specific study or homework tasks or household chores within five minutes of being asked, or at an agreed-upon time, and that they work five days a week on housework or homework for at least one hour. To ask for ‘respect’ from your young adult is also too vague (and think about how respect goes both ways and the agreement can also include you as well). For example ‘respectful behaviours’ might be that you both talk to each other in a quiet voice, or that you both show that you are listening by stopping what you are doing as soon as possible and then facing the person talking. Perhaps your teen is misusing your car and you want them to treat your car ‘carefully’. Describe exactly which behaviours are ‘careful’ and which are not. You might want them to be ‘on time’ when you take them somewhere, so explain what ‘on time’ means to you and when they will be ‘late’. Perhaps you want them to complete ‘all chores each day’ so describe exactly what ‘complete’ means and what ‘all chores’ and ‘each day’ require from them. Any vagueness in your agreement allows you both room for confusion, disagreement, and cheating. Clear, exact, and detailed descriptions of exactly what the agreement means, allows both you and your young adult to know exactly when the agreement made between you is kept, and when it is not kept. Keep the time you are talking with your young adult brief, and then they will pay closer attention to what you say. Have you noticed that some adults talk too long on subjects they find important? I think we all do this at times, often without realising we have. I know I still do, especially when I’m enthusiastic or concerned about something. You may also talk too long to your young adult at times, and they may be using a few useful strategies to manage their boredom or frustration while you are talking. The ‘switch off’ is the most common and politest strategy used by many. Your teen will seem to be listening attentively, while they have actually stopped listening to you after two or three sentences, and have began to think about something else. I have often been fooled when a student uses this strategy on me. Sometimes a student looks so convincingly attentive that I don’t immediately notice that they have ‘switched off’. Your young adult ‘switches off’ for what they believe are very good reasons. Perhaps they have heard it all before, feel uncomfortable with your intense and emotional tone, don’t agree with you, feel blamed by you, or just don’t want to do what you want them to do. My last post gives you some useful tips about how to talk with your teen so that they don’t ‘switch off’ on you. Posted by annethecoach on 16 September, 2015 in coaching, homework, teens, Working with teens and tagged consequences and how to use them, creating respectful agreements with your teen, homework agreements with your teen, negotiation with your teen. Your teen and you: No 2 – Creating a win-win study agreement. Create a study agreement that both you and your teen are happy with. Following on from the last post……I have some further ideas to increase your chances of success when you negotiate with your teen, about anything really, but in this case the amount of study they are doing. I talk again about the importance of listening openly and without judgement to your teen, and give more helpful tips on how to listen openly. Then I explain why you should decide exactly what study (how much, and which subjects) you want from the negotiation before it begins, and how helpful suspending any privileges/rewards/positive consequences attached to study will be while negotiating with your teen. Stay respectful all the time: Keep listening until you and your teen know that you deeply understand their position. You don’t have to agree with the opinions your teen has about study. Just listen closely to them first before you give your opinion, so that you understand as fully as possible what they are feeling and thinking. A certain amount of humility, a big dollop of patience, total concentration, and keeping silent until they are finished, are your best tools. Perhaps if you understand their point of view without judgement, then your teen won’t experience the lack of power and control that you may have experienced at their age, and together you will find solutions about their study that work for both of you. For any negotiation about study to succeed with your teen – think before you leap, and plan ahead. Before negotiations: Carefully decide what your ‘bottom lines’ are.Your ‘bottom lines’ are the non-negotiable goals you consider necessary for their success, and also any actions your teen needs to take to reach those goals. Be clear about exactly what you want to achieve and what you expect from them, and hold firmly to those ‘bottom lines’ as you negotiate. Then negotiations will seldom get ‘derailed’ for long. ‘Derailing’ is when you are suddenly and unexpectedly diverted onto another topic, and so away from a topic that they don’t want discussed. 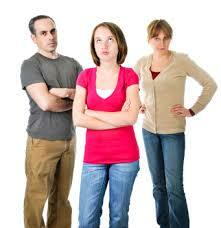 Before negotiations: Think about what happens when your teen is not cooperative and attempts to derail you. 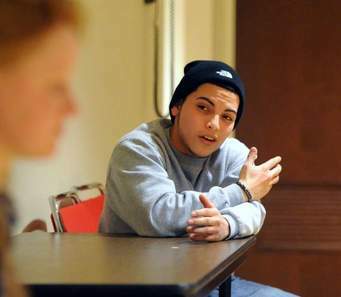 Many young adults develop excellent skills at ‘derailing’ those around them. Think back to the last time your young adult stopped you from discussing something with them. What happened in that conversation? Perhaps you were suddenly blamed for something you had done or not done at some earlier time; or your young adult suddenly felt ill or very tired; or they had no time to talk right then; or they became very upset about something that had recently happened to them. I’m sure you can think of more ways your young adult ‘derails’ you when they don’t want to listen. You will know when you are being ‘derailed’ because you will experience a sudden strong and unexpected negative emotion towards them, such as pity, or annoyance, or worry, or anger. As you notice your teen derailing the negotiation process, take a moment to choose how you will respond. If you choose to be diverted from your topic of discussion, you can easily proceed with negotiations at some later time because you have decided your ‘bottom lines’. Before negotiations: Write down exactly what you want. Write down what is not negotiable (your bottom line) and what is negotiable (where your young adult has ‘wriggle room’ to negotiate something more favourable for themselves). Then if you find yourself ‘derailed’, you can easily come back to exactly where you left off the negotiation at the next appropriate moment you and your young adult can find. Before negotiations: Decide the positive consequences related to study. Study is your teen’s work. A definition of ‘consequence’ is ‘something that follows as a result’. Anything you provide for your teen not related to your teen’s basic needs could be deemed a privilege. During Negotiations: Suspend positive consequences until you reach a study agreement that you and your teen are both happy with.I suggest that you suspend privileges that are become positive consequences related to study until you both have created a win-win agreement. Your teen will usually want to continue negotiations with you as soon as possible to gain access to those positive consequences. Remember that negotiations with them can take as long as needed. There is no hurry. In fact not hurrying negotiations, and suspending any promised positive consequences until agreements are signed and sealed means that your teen will be the one in a hurry to get things sorted. My next post helps you pay attention to the small print so that your teen and you always know what exactly is expected of them. I like to share my coaching ideas with as many people as possible so please Tweet this post or follow me on Twitter if you find me interesting. I would like you to share this post and the excellyourchild.com website with other like-minded families. Posted by annethecoach on 15 September, 2015 in coaching, goal-setting, homework, Working with teens and tagged consequences and how to use them, goal-setting and negotiation with your teen, study goals, win-win situations with your teen, young adult, your teen and study; respectful negotiation with your teen. If you want to develop a more adult relationship with your teen, the next few posts are particularly for you. Be brave and plan to rock the family boat now. There is no better time! While you hold most of the purse strings you can create consequences that affect your teen quite easily. It becomes more difficult as your teen earns their own money or leaves home, so decide now what qualities and skills you want your teen to develop, and decide how you will help them develop those skills. Teens experience rapid growth spurts and sudden surges of hormones. Many feel as though they are on an emotional roller-coaster. They doubt their ability to achieve goals they want, and might feel quickly defeated when there are difficulties. They also might hear from their friends that study is not that important, or they might want to go out and have adventures you might not approve of. There will be dramas, if not with your particular teen, then with their friends. Help your teen succeed with their study: Take small steps most days not sudden panicky rushes of study just before exams.Your role as your teen’s family coach is to help them stay calm, focused and optimistic by helping them develop clear and exciting goals, and good study routines to achieve those goals, so they carry on working even when there are dramas in the rest of their life. Before you speak – listen closely to your teen to understand . Remember back to a time when an adult didn’t understand or listen to you when you were a teen and talking about something important to you. Remember the feeling of powerlessness you felt when adults made important decisions that affected you, without consulting with you. And find ways to work more closely in partnership with your teen so they don’t experience the lack of power and control that you may have experienced. Develop respectful decision-making gradually with your teen. Sometimes we parents believe that we know what is best for our children, and mostly we do. However, as our children become teens, we have to gradually share that decision-making with them so that they get the opportunity to learn how to make their own decisions, and reap the consequences of those decisions. A teen reminds me of a toddler you have on reins. As the child grows older you allow them to wander further away from you, but you still hold the reins. As with toddlers, teens need to be guided by us to take responsibility for their decisions. Then they grow into independent adults who no longer need our restraining hand, and who walk safely away from us. The next post will suggest other ways you can develop a respectful relationship with your teen. I like to share my coaching ideas with as many people as possible so please Tweet this post or follow me on Twitter if you find me interesting. Keep spreading my ideas and share this post and the excellyourchild.com website with other like-minded families. Posted by annethecoach on 30 June, 2015 in coaching, homework, Working with teens and tagged how to develop a respectful relationship with your teen, listening skills, respectful, respectful relationships with your teen. Positive Discipline 5: When it all goes wrong it’s severe consequences time. When it all goes wrong – severe consequences step in. Severe consequences are for when your child’s negative behaviours continue beyond acceptable limits after other consequences have been used consistently, and after two strong warnings. Severe consequences are not punishments! Some or all of these consequences happen immediately and are non-negotiable; but at no point are they a punishment. Remember that your child is choosing and is usually more in control of their behaviours than we (and even they) probably realise. They also will be testing the boundaries and seeing if you stay firm and keep your end of the agreement. Stay calm and take action immediately. Down tools and stop coaching for that day. Walk away and have a calm and pleasant time without your child. You can shut yourself into a room if you can’t actually ‘walk away’. Removing yourself from the situation helps you stay calm, and also immediately stops escalation of any further arguments or discussion with your child. Being briefly alone is a time to think about what happened, and what needs to change. Think about your own thoughts and behaviours as well as your child’s. You are in control of your thoughts and actions aren’t you? Changing what you are think and do will often change your child’s behaviour. You can stop coaching and all agreed-upon privileges for longer than a day until you have decided what you will do to help your child develop ‘good student’ behaviour and stop ‘bad student’ behaviour. When you remove privileges until coaching resumes, your child will realise that when you said that privileges they receive depend on how they behave, you actually meant what you said. Take as much thinking time as you need to decide what needs to change. Ask yourself, “What can I change to help my child develop into a good student?” Often the changes you decide to make are small ones that are surprisingly effective. 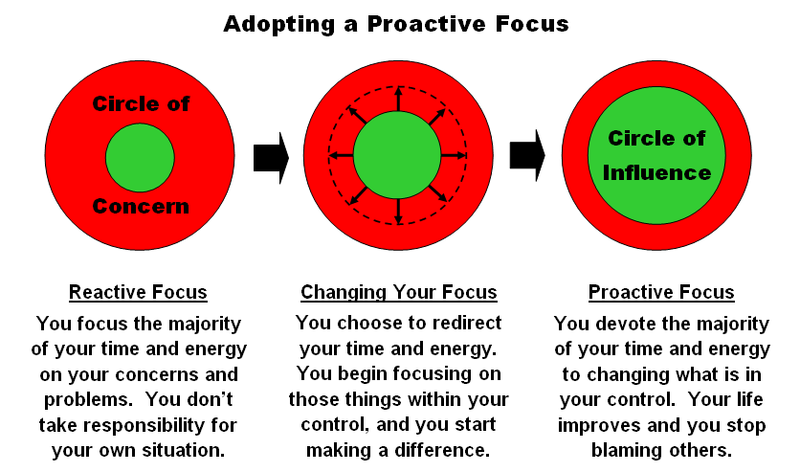 Focus on what is within your power to change. For example, after checking your own behaviour and responses to your child, look at the positive and negative consequences in place, and the time and place you coach in. Gather ideas from trusted advisers around you, and read my other posts. My book ‘How to coach your children to be excellent students’ also has useful and easy to use strategies that can stop many negative behaviours children use. Make a new coaching agreement or amend the old one with your child if you realise that the coaching agreement was not working well because it did not cover all important circumstances, or did not have effective consequences. Tend towards being neutral with your attitude and words. Don’t gloat, blame, or ;feel particularly upset when they choose a negative consequence. Instead, use a neutral tone, and statements that include “you just chose to…” so that responsibility is clearly placed with your child, and you are never in the position of the nasty punishing coach. Don’t be overly enthusiastic, encouraging, or relieved when your child chooses ‘good student’ behaviour. Instead praise briefly using a matter-of-fact and business-like tone. Then you give your child the message that ‘good student’ behaviour is normal student behaviour. Save warm and extended praise for big changes in behaviour that are consistently happening for a while. Posted by annethecoach on 1 May, 2015 in coaching, homework, Working with teens and tagged A positive discipline approach, behaviour, consequences, helping your child behave, helping your child learn, homework, negative consequences. Positive Discipline: How to stay respectful and seize control. An important strength of positive discipline is that you can respond quickly and assertively and with confidence when your child behaves badly. Before the positive discipline approach you may have reacted emotionally when your child wasn’t cooperating with you, or refusing to work with you, and you probably felt and expressed anger, resentment, sarcasm or helplessness. Now, with an agreement about what exactly are acceptable and unacceptable behaviours, and the consequences for acceptable and unacceptable behaviours, you will find it much easier to be fair and consistent and calm and reasonable when your child chooses ‘bad student’ behaviours. You will no longer need to chose moment by moment how to respond to your child’s ‘bad’ or ‘good’ behaviours and you won’t need to get involved or highly emotional about what they are doing or not doing anymore. Instead you and your child will realise that they have made a choice knowing the consequences of that choice, and as their coach all you have to do is step out of the way while your child experiences the results or consequences of their behaviours. An important and exciting side-effect of the positive discipline approach is that your child learns that they have the power to change their behaviours in an acceptable way to create the natural outcomes or consequences they want. Over time as they learn to control their thoughts and emotions and behaviours with you, you will help them change negative and unhelpful behaviours at school too. Positive discipline – the steps to make it work. Follow these steps carefully and you should be able to easily set up a new and more respectful coaching situation in your home. Step one: Take time to plan ahead very carefully! Calm actions and words are the key to using positive discipline with your child, so plan for all the possible positive and negative scenarios you can think of. Decide what you will say (keep it brief), your tone of voice (keep it low), and your gestures (keep them simple) when your child behaves like a ‘good student’ or like a ‘bad student’. Then you can always use the broken record’ strategy, where you have several standard, brief responses for most situations that arise, and you repeat them just as a broken record/CD repeats part of a song. The broken record strategy allows you to respond decisively, smoothly, calmly and automatically, using minimal energy and maximum impact, to nearly all of your child’s behaviours. Step Two is in the following post. Posted by annethecoach on 11 December, 2014 in coaching, goal-setting, homework, Uncategorized and tagged consequences and how to use them, discipline and your child, respectful discipline, the broken record strategy. I believe that it is up to us as the parents to discipline our children so they can learn to discipline themselves. To do this well we need to act tough, stay respectful and remain consistent with them and I encourage you to remain respectfully tough while consistently expecting high standards of behaviour and of work, however they behave. But this can be easier said than done! 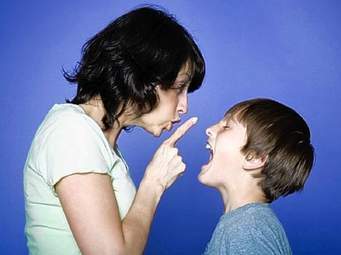 Many families waste valuable energy and time because they either listen to their child too much and feel powerless and exhausted by the excessive arguments and discussion, or they are afraid of losing control of the coaching situation so don’t listen enough, and their child feels powerless and resentful. If either scenarios sound like you and your child, read on. You can change how you discipline or don’t discipline with some small changes in how you think and how you act. I have called this discipline approach ‘a positive discipline approach’ because rather than feeling powerless and frustrated, you will both feel that you have enough power and control in your lives. Your child is in charge of their behaviours and they choose any associated consequences. You are in charge of monitoring their behaviour and making sure that the consequences happen as agreed. You can use these ideas when you are developing the homework habit with your child too. Many of my ideas come from the Assertive Discipline method as taught by Lee Canter (1992). I like his simple and practical explanations. Lee Canter (1992) has taught many classroom teachers how to use discipline wisely and well with students and I have adapted many of his ideas so that they work with our children in any coaching situation. What is excellent about his discipline method is that the focus is not on ‘bad student’ behaviours but on recognising ‘good student’ behaviours. As well, you are never the bad guy punishing them; instead your child chooses the agreed-upon negative or positive consequences through their own actions. Your child takes responsibility for their behaviours and responses. An important and exciting side-effect of using a positive discipline approach is that your child learns that they have the power to change their behaviours in an acceptable way to create the natural outcomes or consequences they want. Your child might be poorly behaved in class, and the more distant negative consequence of failing to learn is not important to them yet. Over time as they learn to control their thoughts and emotions and behaviours with you when coaching, you will help them change negative and unhelpful behaviours at school too. You can stay in control of your own responses more easily too. Another major strength of a positive discipline is that you can respond quickly and assertively and with confidence to your child’s negative behaviours. Before you may have reacted emotionally when your child wasn’t cooperating with you, and expressed anger, resentment, sarcasm or helplessness. Now with an agreement about what exactly are acceptable and unacceptable behaviours and their consequences you will find it much easier to be fair and consistent and calm and reasonable when your child chooses ‘bad student’ behaviour. You will no longer come from a position of weakness where you chose moment by moment how to respond to your child’s ‘bad’ or ‘good’ behaviours and you don’t need to get involved or highly emotional about what they are doing or not doing anymore. Instead you both will understand that they have made a choice knowing the consequences of that choice and as their coach, all you have to do is step out of the way as your child experiences the results of their behaviours. Posted by annethecoach on 20 October, 2014 in coaching, homework, Working with teens and tagged A positive discipline approach, discipline approach, discipline method, disciplining your children, getting your child to do their homework, Lee Canter, positive discipline. Check out this blog by a mother of 9 titled ‘raising children is not a default chore is inspiring. As parents living in a society with many pressures brought to bear on us to be so much more than good parents, we need all the inspiration we can gather to stay focused on remembering what is really important in our lives, and to place that first. You can do this even while you are working outside the home, have little money, have many other responsibilities You just have to plan a little smarter.Write to me if you’d like to share your difficulties and triumphs. I’m there for you. I encourage you to persevere every possible day to support your children to grow their knowledge and skills. I specifically talk about developing educational skills in my posts but if you look a little more deeply, I’m also talking about developing their emotional/social skills and although I’m not specifically targeting these areas, I encourage you to develop your children’s spirituality and physical skills as well. Strengths in all areas help them develop into strong and loving humans, and today more than ever we certainly need more of those qualities in people around us. In the last post on reading I discussed how reading is still an important skill in your child’s future life as an adult as well as for their success at school I also suggested ways to work with their reluctance to read. As responsible parents we make sure that our child reads the books sent home from school. Perhaps they drone on, reading all the words more or less correctly, but they may find the whole reading process boring…and maybe you find it boring as well. And if it is boring, they will switch off and read automatically, and not really understand and remember the story the next day. We can so easily make reading practice something that is compulsory and important, but not fun. If something is not interesting in some way, we do not remember it later, or value it, so why should our children? Check out this post for more information on how our children can learn and remember more easily. Today I want to talk about the power of share-reading with your child. Share-reading is when you each take turns reading part or all of a sentence, a paragraph, or a page out loud. I suggest that you read little and swop turns often, and then your child will stay fully engaged, because soon it will be their turn. They will also be more likely to be interested in what they are reading if you are very interested, and if you also discuss it with them. You not only take your turn to read with enthusiasm and understanding, you also discuss difficult word meanings, what is happening in the story, and ideas that pop up because of the story. Age does not matter. Teens can also enjoy share-reading. Share-read a book they want to read but that is a little difficult for them to read and understand. When it is their turn use Pause, Prompt, Praise. Pause. Sit back and let your child attempt to the phonics rules and the meaning of the sentence to read unknown words. You can count up to 5 elephants (approx 5 seconds) before giving them a prompt. Prompt them. Remind them to read what is there, or read the sounds from the beginning to the end of the word. Next ask them for a word that makes sense in the sentence and with the sounds they have just read. When it is your turn to read – read slowly, enthusiastically, and with expression. Move your finger along the line as you are reading if your child finds it difficult to track words, and make sure your child’s eye is following the words as you read them, or don’t use your finger if they don’t need that support and track words well. Stop reading unexpectedly (in the middle of a sentence for instance), expecting your child to immediately pick up from where you were. Reading is to be enjoyed! It is not how many pages you read, it is how much you enjoy and understand the story. Spend time discussing what is happening in the story with your child so they read more thoughtfully, and actually understand all the hard words they are reading. Posted by annethecoach on 20 October, 2014 in coaching, homework, reading and writing skills, Uncategorized and tagged coaching your child to succeed at school, how to help your child read, succeed with reading. 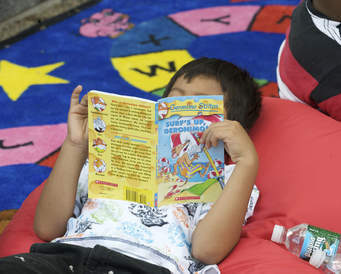 Reading – it’s important: Help your child read more often. If not, what is stopping them from choosing to read? You might think they don’t read often because of all the electronic gadgets they use, or that they prefer sports, or that they have never been good at reading….But they are still not enough reasons to not read. Do you agree? You might believe as I do that reading regularly – anything that is well-written which includes comics and magazines – will help your child do better in life as well as at school. Definitely they learn a lot about other people and other places when they read regularly. Let us look at what you can do to change what stops them from reading. They prefer using electronic gadgets. Limit their use! Fads in areas such as computer games, apps, and social media sites, come and go, as you may have noticed, with dismaying speed. Fluent reading is still a core skill that enriches our lives and makes them easier, and will probably continue to be a crucial skill for your children as adults. The rule ‘ work first play after’ is important for us as adults when we want to do well in life. Learning is your child’s work. Teach them to ‘read first play later’. I have seen many reluctant readers eventually prefer to read because they see reading as play. You as their parent just have to decide that reading is what you want them to do. Then you can negotiate with them, and make sure they do read as agreed. I also suggest that you regularly show interest in the story they are currently reading (I often read it ahead of them). They prefer to be active rather than sit and read. Many of us do. However, interests and work they choose to pursue in life probably requires a competent level of reading and writing skill. Don’t you agree? I believe from my experiences as a coach that children who don’t seem to be able to sit still can be taught that skill. You might notice that your child is quite still when focused on something they find totally fascinating. I fully expect that they will learn to sit still and concentrate on their learning too. I keep their work interesting and challenging and exciting, and I use versions of games that monitor and reward their concentration such as the first up to five game. I no longer believe that a child can’t learn to sit still and concentrate on their work for a period of time. Reading has always been difficult for them. Many children are reluctant to read, often because they found it hard to learn that skill when they were younger. Many children didn’t have enough practise at developing strong phonics skills, which is how letters relate to particular sounds, so they often had difficulty learning to both read and spell. It is very important that your child masters the letter-sound relationships (or phonics) when reading and spelling unknown words. A fun and fast way to teach your child reading and spelling skills is using The Weird Word Game. 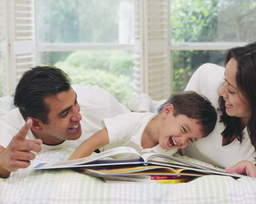 My next post on reading will give you some easy ways to help your child read, and enjoy reading. I like to share my coaching ideas with as many people as possible so hello fellow Twitter user! Don’t forget to Tweet this post if you like it, or follow me on Twitter if you find me interesting. Keep spreading my ideas and share this post and the excellyourchild.com website with other like-minded families so they too can develop the skills to create exceptional students in their families. 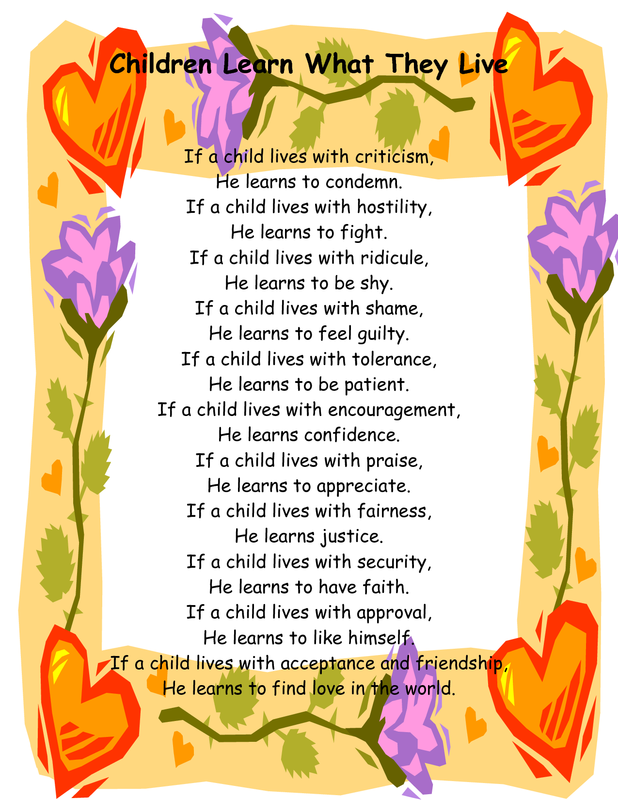 Posted by annethecoach on 3 September, 2014 in coaching, learning and remembering, reading and writing skills and tagged helping your child read, how to help your child read, reading with your child.